Huckin' the Crystal from Natalie Kellum on Vimeo. Darin and I had a blast this weekend up in the hills of Crystal, CO.
BOOF! from Natalie Kellum on Vimeo. We went up to the Cache la Poudre this weekend and Darin fired up the Big South. I will do it next time, but I just wasn't feeling 100% and for 12 miles of creeking it is a prerequisite. While playing shuttle bunny I saw a moose about a mile from the put in. Then on the way home we saw a mom and baby up close. Total moose count for the weekend 4! Not real common in Colorado. 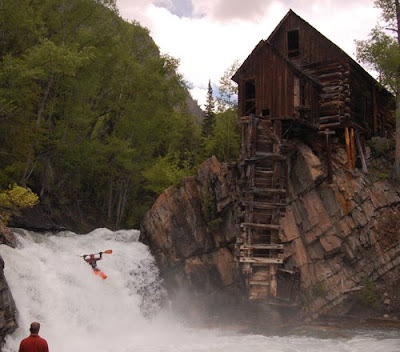 POV DK Hucking Crystal Mill Falls from Natalie Kellum on Vimeo.